In the years I have been doing ethnographic research, I have found that some ethnographers have a tendency to avoid researching issues that involve deep immersion. Clearly, there is a difference between what is termed participant-observer and observer-participant; however, I have also found that to take up positions in the midst of other’s lives in order to really observe and understand them some form of deep immersion is required. With this type of immersion, the ethnographer is able to see from the inside how people live, how they carry out their daily routines, what they find meaningful and why. Some researchers believe that deep immersion has the tendency to dissolve initial impressions and deadens sensitivities to subtle patterns causing the ethnographer to lose insight into experiences, meanings and concerns. Many believe that this compromises or contaminates objective data rather than provide insight into significant processes. In contrast to such views, deep immersion can provide the field researcher with a method to assimilate more profoundly into the lifestyle because the researcher does not learn all at once but in a constant, continuing process in which one builds an insight and understanding of other’s lives over an extended period. Malinowski was probably one of the first ethnographers to provide a model for assessing the importance of long-term, intensive immersion. He believed that immersion could enable him to distinguish between the “native” view and his own. Also, he believed that he could immerse himself without losing sight of his own scientific goals – that is, without “going native.” He writes, “Indeed there is a great difficulty in disentangling our own sensations from a correct reading of the innermost native mind. But if an investigator, speaking the native’s language and living among them for some time, were to try to share and understand their feelings, he will find that he can gauge them correctly. Soon he will learn to distinguish when the native’s behavior is in harmony with his own, and when, as it sometimes happens, the two are at variance.” In this sense, the immersion experience can help to resolve the difficulty of managing one’s own conceptions and biases or becoming swallowed up in the native worldview. The process of participant observation involves a daily immersion but it also involves removing yourself each day from that immersion to think about what you have seen and heard, put it into perspective, and write about it. Bernard asks the question does “going native” mean loss of objectivity? His response is perhaps, but not necessarily. He makes the point that many field researchers begin as participant-observers and later find themselves drawn completely into the lives of the people they are studying. He cites, for example, the lives of anthropologists Kenneth Good and the Yanomami (1975), Marlene Dobkin de Rios in Peru (1981), and Jean Gearing and her research on the Island of St. Vincent (1995). Furthermore, he contends that in industrialized countries such as the United States, Canada, Australia, Germany, England, and France, immigrants are expected to “go native.” They are expected to become fully acculturated, learn the language, and participate in the economics and politics of their host countries. More important, he states that some fully assimilated immigrants have become anthropologists themselves, made groundbreaking contributions to the field and the question of their lack of objectivity never became an issue. Thus, issues concerning objectivity are at best quixotic. Furthermore, when we look to the importance of participant observation, finding people that are knowledgeable, trustworthy, and that can provide accurate information is oftentimes difficult. Many times, ethnographers may find people that are willing to work with them but are not knowledgeable in a particular cultural area. While in other situations, a key informant may be knowledgeable but may not be considered a reliable source of information – that is, their information may not be accurate or may be compromised by self-interests. In this case, it has less to do with willingness and more with complex processes of power and authority. Clifford suggests, “Indigenous control over knowledge gained in the field can be considerable, and even determining.” Often, such authority is the representation of social position, gender or education level and the role of conveying information to the ethnographer is influenced by it. Immersion in this sense then, involves being with people to observe how they respond to events, experiencing for oneself these events and their circumstances, and being able to interpret the sensitivities and meanings of their conversations to each other. Finally, I think it is safe to say that the degree to which the ethnographer becomes involved in people’s lives and doings inevitably shapes their perspective when writing. However, it should also be noted that the deeper their immersion, the more they are enabled to write from a nearer perspective when presenting detailed accounts. By contrast, physically or emotionally distant perspectives usually tend to produce more generalized descriptions. Sources: Malinowski, Bronislaw. Argonauts of the Western Pacific; an Account of Native Enterprise and Adventure in the Archipelagoes of Melanesian New Guinea,. London: G. Routledge & Sons;, 1922. Clifford, James, and N.M. Fe. Writing Culture: The Poetics and Politics of Ethnography : A School of American Research Advanced Seminar. Berkeley: University of California Press, 1986. 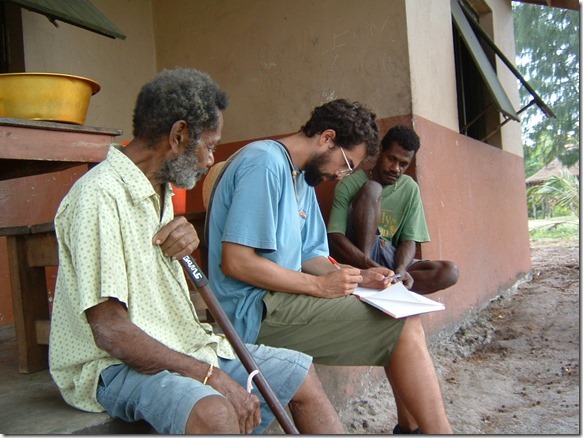 Bernard, H. R., Research Methods in Anthropology: Qualitative and Quantitative Approaches. Lanham: Rowman & Littlefield; 2006.